This is an 8x10 print of an original watercolor painting. 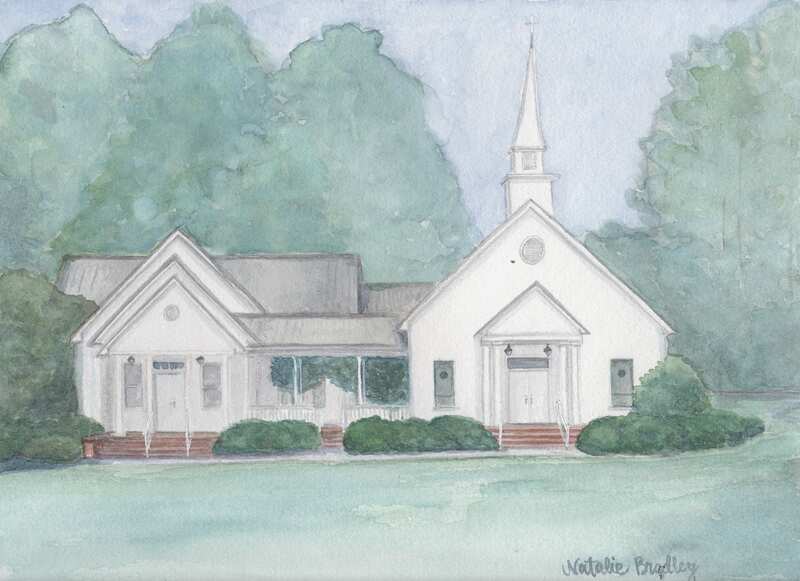 The original has been gifted to Whitewater Baptist Church in Oglethorpe, GA. This is a great keepsake for your home church, as a wedding gift, Mother's Day, Father's Day, birthday or Christmas gift. 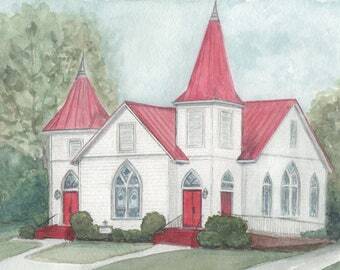 10% of every purchase is donated to Whitewater Baptist Church in Oglethorpe as an offering of thanksgiving.